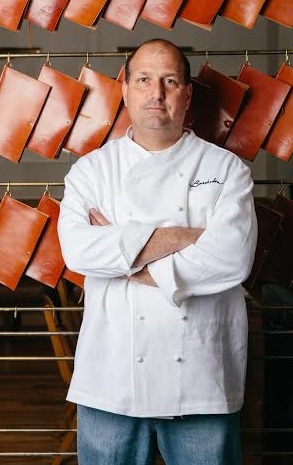 Chef Dave Pasternack, a 2004 James Beard Foundation "Best Chef" award winner, is the Chef/Partner of Barchetta, an Italian seafood trattoria from LDV Hospitality. He is also the chef behind the acclaimed New York City seafood hotspot, Esca (a partnership with Mario Batali and Joe Bastianich). When Pasternack is not in the kitchen, he can almost always be found fishing. Known as the "fish whisperer" by The New York Times, Dave respects the nuances of fish cookery and embraces its subtleties, scouring the globe in search of the best seafood. A chef of the highest integrity, his approach to food is deceptively complex in its simplicity. Dave’s cookbook, "The Young Man & The Sea" is a testament to this philosophy with many of the recipes consisting of only three or four ingredients. I grew up around food. My grandmother owned a restaurant in Coney Island. Back then, I didn’t cook – but I was always there. It really piqued by interest in food. Tell us about Barchetta. What inspired the idea and what is your vision for the restaurant? Barchetta is an Italian seafood trattoria. Our hope was to bring a great, casual seafood restaurant to downtown Westside of Manhattan. It needed it! What strategic partnerships/marketing strategies have you implemented that have attributed to Barchetta's success? I think we have a great, accessible wine program that you don’t see much of in New York. We also started doing happy hour daily from 5:30 to 7:00pm. We’re also looking to have our Wine Director George Hock lead wine classes at the restaurant. 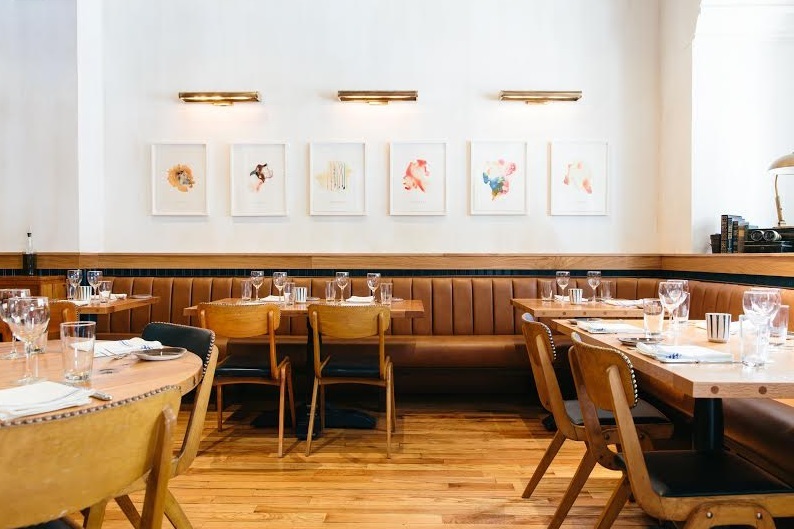 The one trend I definitely notice is that people like dining in a casual environment. They want less formality in a dining room. I think we do that really well at Barchetta. Also, people are eating healthier, eating less carbs and gluten. Our menu is simple and the majority of items are gluten-free, or can be made gluten free. Even our house made pastas. Live hard and die trying… you know, just work and live hard. Put your time in, get your experience. Think long and hard about what you’re getting yourself into. This is hard business. Describe the ideal experience at Barchetta. Have a casual dinner out. 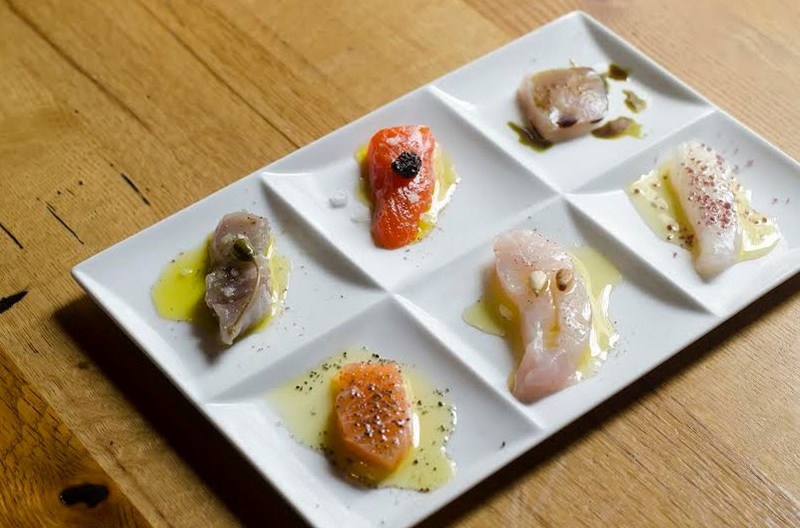 Start with a little crudo. an antipasti or two, split a bowl of pasta, a pork chop, a piece of fish. Get a good bottle of Sicilian white wine. And then, of course, enjoy one of Kate’s delicious desserts! How important are architecture/design to the success of Barchetta? I think the design is great. It really speaks to the concept. SLDesign’s Chris Sheffield traveled the world to source the design furnishings for Barchetta… it was inspired by Hemingway’s “The Old Man and the Sea”. Barchetta’s rugged vibe coupled with the charm of LDV Hospitality ultimately creates a very casual elegance. I like everything. We wouldn’t put it on the menu otherwise! Specifically, I love the lamb, the crudo, and the salads. The raviolis are really good, too. Inspire them to do good. Lead by example! For my drink… probably be a great bottle of white burgundy. For food, definitely some kind of fish – maybe a black sea bass, simply roasted. Kids’ books. I read with my daughter at night. She’s 10 years old. My business role model would be my father. He had a good work ethic and made a lot for himself. Had nothing, made everything. As for my personal role model, I would say Colonel Jack Jacobs – he was awarded the congressional Medal of Honor by Nixon. He has a truly amazing story. Fishing, always. And gardening. Right now, I’m growing all kinds of lettuces in my garden. Anywhere exotic. I’d love to go to Hawaii, I’ve never been… I also love Spain! Looking forward to more success!